I recently read an old post on Houston Press listing Houston's Most Gorgeous Graffiti, and was stunned to see how many of them have since been painted over. Now, Street Art by its very nature is not meant to last forever, but I did begin to wonder.. Does the artist, or anyone for that matter, have the right to preserve it? After endless legal reading (that I will spare you), I discovered that unless of course you own the "tagged" property on or the work was legally commissioned the answer is sadly no, not really. First I need to point out that there is an important distinction between commissioned and therefore legal "Street Art", and noncommissioned and illegal "graffiti". The long and short of it is that Street Art is wholly copyrightable (although that particular version is still owned in most cases by whoever owns the wall), and graffiti is not. Instances of graffiti being removed, vandalized, or sold without the artists' permission are therefore commonplace. 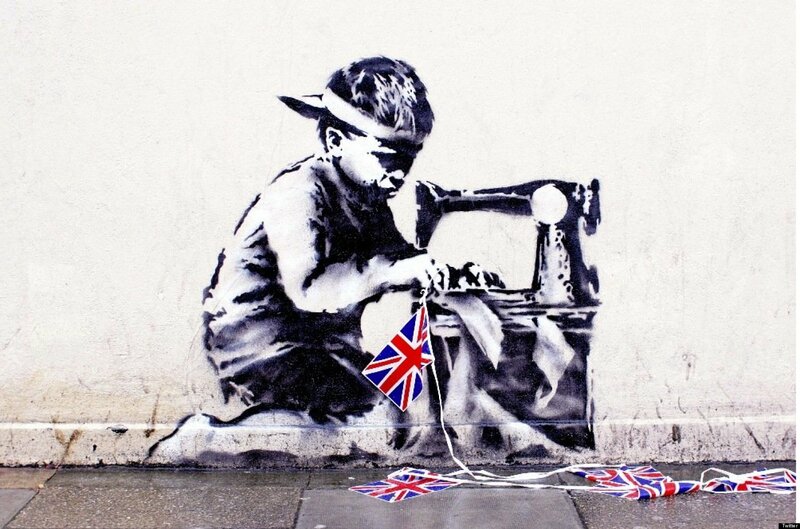 One of the most high profile examples of this is probably "Slave Labour", a Banksy mural that was painted on the side wall of a Poundland store in Wood Green, London in May 2012. It was mysteriously removed and later resurfaced for sale at the Fine Art Auctions, Miami for $500,000. In traditional cases, the Visual Artist's Rights Act (VARA) - a subsection of the CopyRight Act - protects artist from having their works removed, vandalized, or reproduced without consent. VARA even has a subsection which covers works on buildings, and while not all graffiti is eligible for protection (for example tags and type faces are not copyrightable) even the most illegally executed works satisfy the necessary minimum requirements in that they originated with the author, and are fixed in a tangible medium, i.e. paint on concrete. However, all of this is only really of use if the artist is willing to come forward and claim this right. A true graffiti artist is unlikely to claim authorship of noncommissioned works, unless of course they enjoy paying hefty vandalism fines. All in all, I can't see much of a solution.. If the graffiti is welcome, then there are measures that can be taken by owners and local councils to protect it. If it is not and the artist does not own the property, they can still claim rights against its reproduction but there is very little they can do to prevent its removal. Fortunately, graffiti artists embrace the fleeting nature of their work, and I think really we ought to as well. It's as much of an art form as oil on canvas, but the two will never be one and the same, and that's what makes it so expressive and unique in my opinion. Graffiti: Here for a good time not a long time.